Every time you have a question or request at work and don’t know where to turn, you’ve probably thought, “Our company needs an organizational chart.” Org charts establish roles so you can find the experts and stakeholders you need in a pinch. But where do you create this document so everyone can benefit from it? Google Docs makes it easy to share information across your organization, but to create an org chart in Google Docs, you’d normally need to use the time-consuming drawing feature. Instead, choose Lucidchart, an online diagramming tool that integrates with G Suite and automates much of the diagramming process. Learn how to make an organizational chart in Google Docs using Lucidchart and the Google Docs add-on. 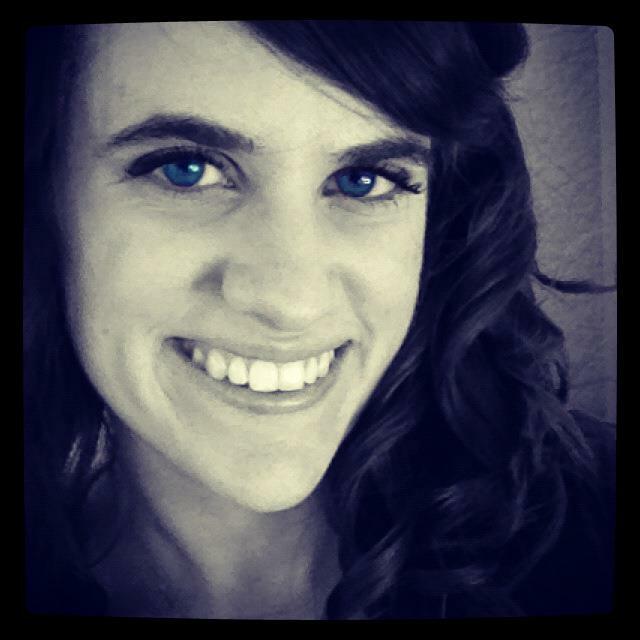 Start your free account in a few clicks. Collect any information that’s important for your Google Docs org chart. Most companies include at least each employee’s name and role, organized hierarchically by function. Create a new Lucidchart document. To build your organizational chart faster, start with a blank or pre-set organizational chart template. If you have a blank diagram, drag an org chart shape onto the editor. Click a shape. A prompt will appear where you can add the hierarchy of your organization—Lucidchart adds shapes and formats the org chart based on your input. The commands to the right allow you to adjust the layout automatically. Type in additional information. Under the “Details” drop-down, you can add employee names, roles, phone numbers, email addresses, and even pictures. Make your Google Docs org chart as informative as you would like. Customize your document. Tweak the layout, and add colors, fonts, sizes, etc. so the chart fits the style and brand of your company. If you already have your company data recorded in a spreadsheet or CSV file, you can also import that data to auto-generate an org chart in Lucidchart. Open a blank org chart template, click “Import Data” in the shape library, and follow the prompt to upload/paste your data. You can also collaborate within Lucidchart before you send out your org chart in Google Docs. Click “Share” to add collaborators or tag a co-worker with @mentions. Look for the Lucidchart listing, and click to add. Once a pop-up window appears, click “Accept” to grant Lucidchart access to Google Docs. 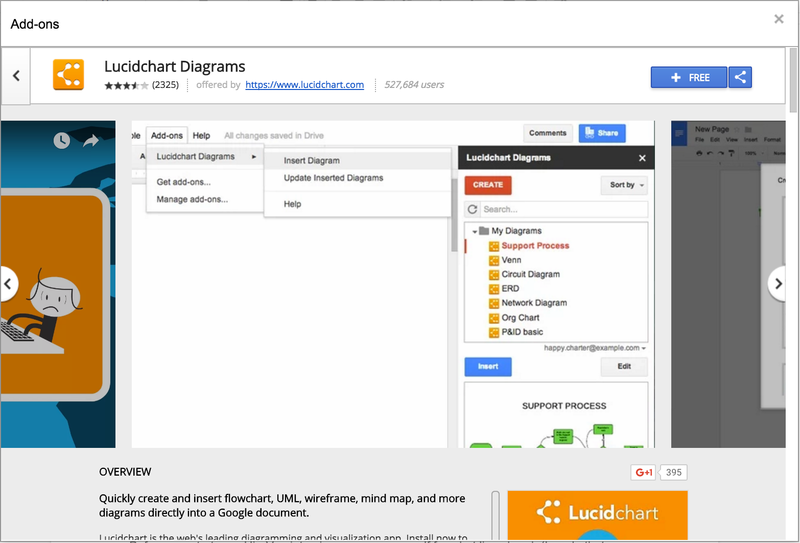 The Lucidchart Diagrams sidebar will then appear in your document. To finish setup, click “Get Started” in the sidebar and give Google Docs access to your Lucidchart account. You should now see your Lucidchart diagrams listed in the sidebar! You only need to complete this setup one time—from here on out, go to Add-ons > Lucidchart Diagrams to open the sidebar and add powerful visualizations to your work. Place your cursor where you’d like to insert the diagram. From the Lucidchart Diagrams sidebar, click the file with your organizational chart. That’s it! The add-on fits your org chart to the page, but you can adjust it as necessary. Decide that you need to make changes later? Update your diagram in Lucidchart first. Then go back to Add-ons > Lucidchart Diagrams, and choose “Update Inserted Diagrams.” This Google Doc add-on updates your diagram to the latest version so that you don’t need to style your image again. Use Google for the words. Use Lucidchart for the visuals. With the combination of these products, you can get your entire organization on the same page in no time.